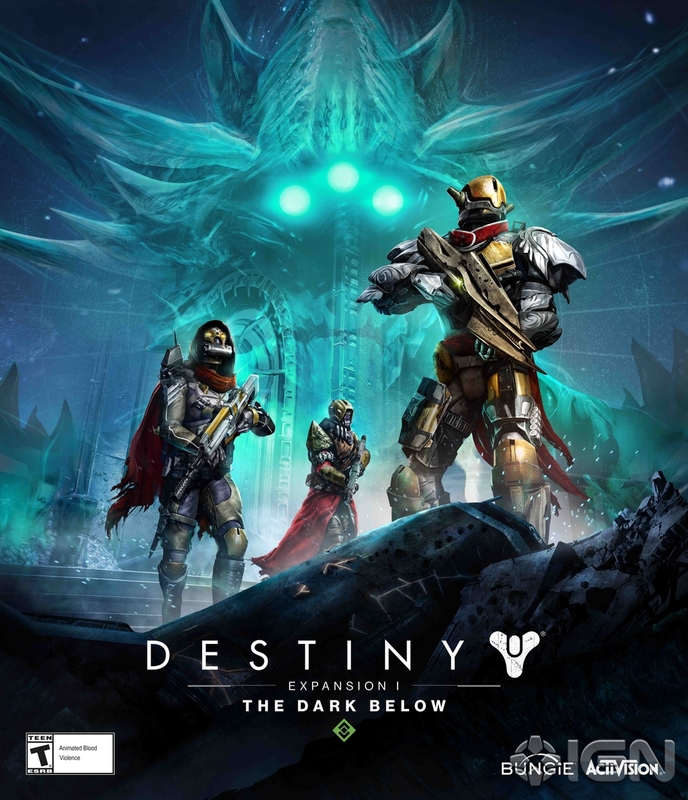 It’s been just about a full week since the release of the first Expansion for Destiny, The Dark Below, and within that week my fireteam was able to squeak out a completion of the new Crota’s End raid late last night. I went over the Vault of Glass after our first completion of that raid, so I thought the same idea was in order for this new raid. There’s still stuff to learn with it, including whether there’s a third raid chest that appears, but in terms of the general content of the raid, I think there’s some good stuff to talk about. Let’s first hit the level requirement – in order to really have a chance at beating the raid you need to have a team that’s at least on the track to level 31. Bungie had said that in order to launch the raid your fireteam leader had to be 30, but you can enter it at lower levels – I entered the raid at 29, but I don’t know quite what the low end is. The nice part is that the first checkpoint (actually entering the dungeon) is incredibly quick – just create the bridge and jump down. The real good part about this is that the first raid chest is just beyond the landing – meaning that you can grind it on three characters really quickly. 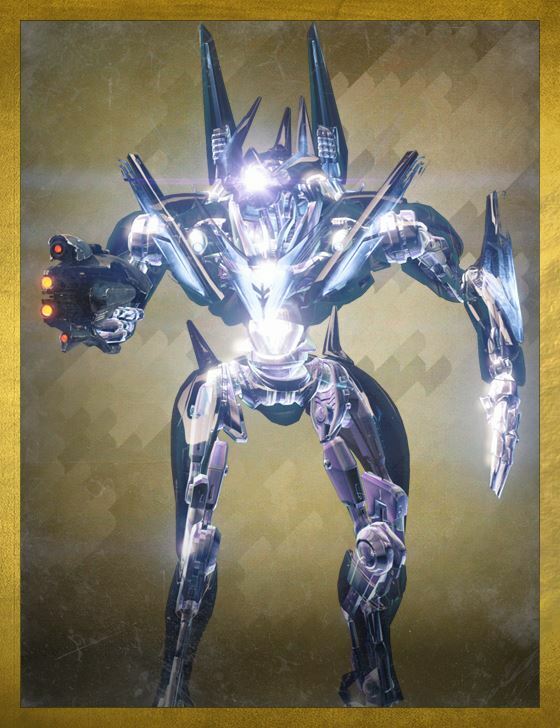 While it is a raid chest, the current thought is that the chest doesn’t have raid armor in it, aside from the class item; but it is able to drop radiant material as well as possible exotics. With that in mind, and taking into account how easy it is to grind, there’s really no reason to not grab it on all three characters, if you’re able. Moving on to the meat and potatoes of the raid itself, I think that the Vault of Glass had more in the way of novel gameplay ideas. The first major section of that raid – inside the dungeon – is the Templar fight. You’re tasked with defending confluxes, then clearing Oracles before using a relic to fight the actual boss. With Crota’s End, the first section is much more straightforward. Your team must make their way through massive section of darkness – which adds the debuff Weight of Darkness, limiting your mobility – while being onset by waves of thralls. To combat the debuff, your team can use large lanterns to pull the darkness off you, before the lanterns explode. The best way ultimately is to just keep pushing forward – watch out for holes in the floor, but just always move forward. After you finish the lanterns, you’ll have to group up and extend a bridge – this is where a Defender helps to give you a bit of a break from the onslaught coming your way. Finishing up this part grants you the first true checkpoint, and loot drop. 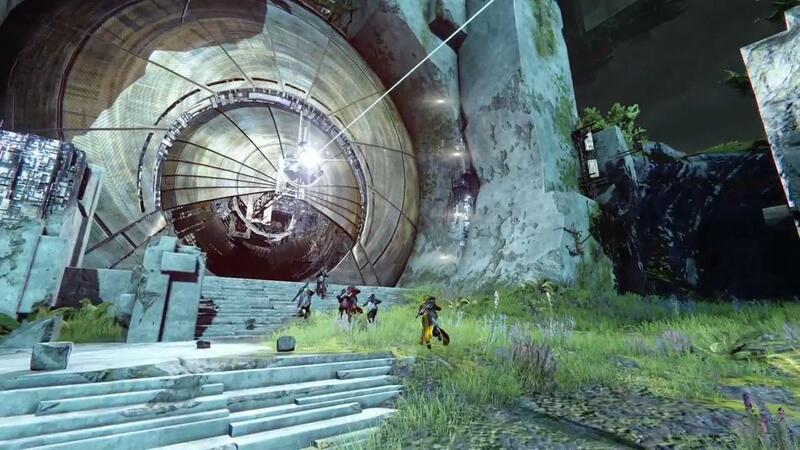 Which brings us to the first real puzzle section of the raid. To cross the expanse, you’ll need the bridge extended – but to cross the bridge you’ll need to carry a sword across. This requires you to kill a Knight Ultra with one, cross the bridge and kill the Gatekeeper Knight that spawns, all within the time limit for the sword. At the same time, your team has to keep two totems from flipping red and wiping the team – while watching for swordbearers, and making your way across the bridge, one at at time. It’s a section that is pretty intense from start to finish – and every enemy is level 31 now, so you might start seeing some damage drop off. But it’s a super cool area, visually, and the actual puzzle/challenge isn’t super difficult, once you’ve got a pattern down. It’s all about team work and communication. After everyone is across the bridge, two Hallowed Ogres spawn – killing them gives you the checkpoint, and a loot drop. While you’re in transit to the next section, you’ll fight a couple Shriekers along with tons of Thralls. There’s some discussion as to whether the second Shrieker or a specific Cursed Thrall triggers the door closing, which shuts out the second chest. Either way, as you progress through the hallway, you should have someone sprint forward toward the chest in order to grab it and open the door for the rest of the team. Which now brings us to the final two sections – first we have to clear out Ir Yut, the Deathsinger. There’s not really anything too clever with this fight – you essentially just have to kill everything, and kill them quickly. Ir Yut will sing her Deathsong after 3 minutes, wiping the team. The timer starts when you first shoot at any of the enemies in the room. You’ll need to kill her two wizard guards, two shriekers that open after the wizards die, then kill Ir Yut, all while dealing with the other enemies too. This is where you’ll want lots of level 31 players, since enemies have reached 32 now. Maxed out weapons are all but required here to deal enough damage to Ir Yut – she had a massive amount of health. But once you’ve cleared out the enemies, you’ll be ready to finish the raid. 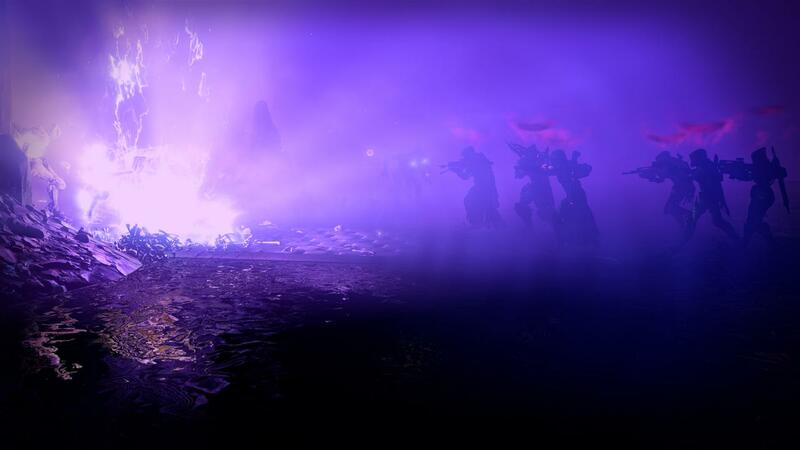 Your team gathers around the crystal, which then spawns Crota – who has a few tricks to deal with. First, he has a shield that protects him, and when it drops, he drops to a knee and can only be hurt with a sword picked up off a Swordbearer. Second, should any player die, he will summon the Oversoul – the huge planet looking thing behind him – which wipes the team after 10 seconds. The good news is that a level 31 with the sword can deal just about a quarter of his health in one attack phase – which is good because you probably will only manage four rounds before his enrage timer ticks off and it gets unwinable. The final issue to deal with, which currently does have a workaround, is that Crota prevents you from regenerating health. In order to do that, you’ll need to hold the Chalice of Light – which only one person can hold at a time. 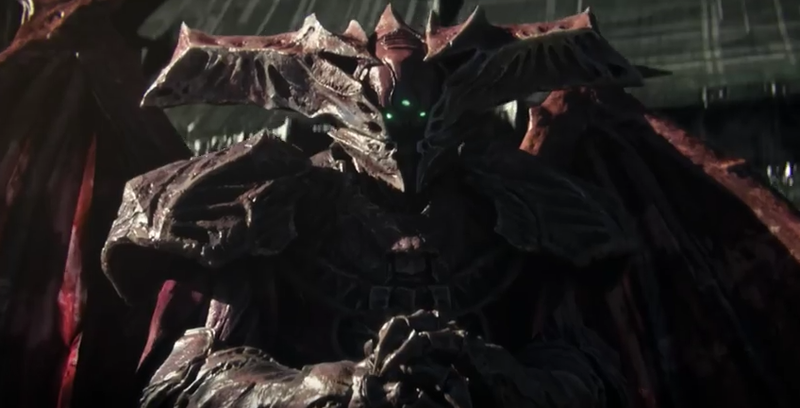 All in all, I think Vault of Glass is a more complicated raid, which requires a bit more outside the box thinking in certain parts; while Crota’s End is much more combat focused. All section in Crota’s End put you up against ridiculous odds, and the margin for error is pretty slim. 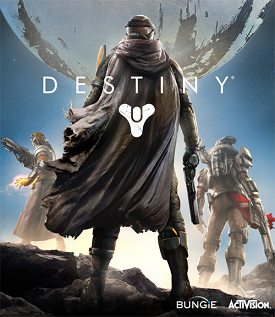 Both raids in general are the shining elements of Destiny‘s game design, and continue to be a lot of fun. While the RNG for loot can be a bit frustrating, the actual content of the raids make it fun to still play them.